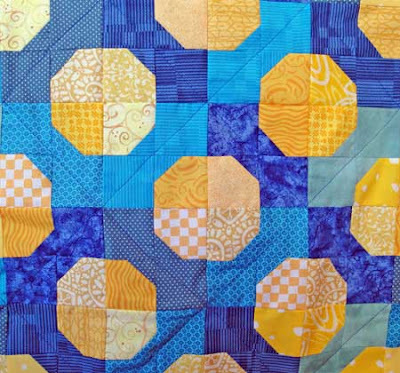 Working on a quilt for an upcoming baby shower. Just so the quilt wouldn't get mistaken as pro-Bruin (Go Bears! 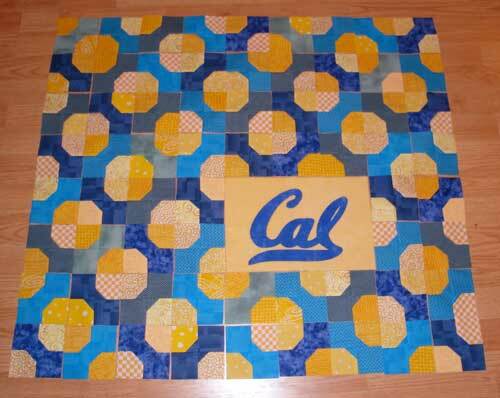 ), I downloaded the Cal athletics logo from the internet and used it as a template to make a fusible version. The yellow background rectangle is from the Moda Snuggles line and super soft. I finished the quilt just in time for the baby shower. I ended up emphasizing the blues by quilting straight lines through the middle of the bowties and loopdy-loops in the border. 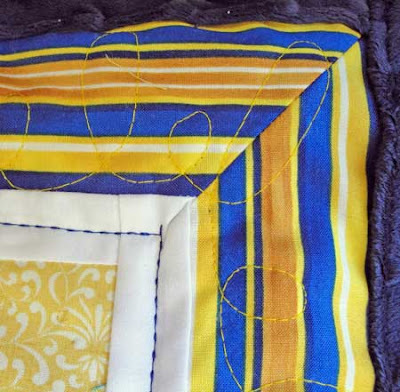 The quilt is backed in a navy blue minky.